CO-AUTHORED POST — for Part I, click here. Alright folks, we did a PART 2 of the new and exciting draft-combine interview reactions. This was the SKYPE CHAT edition wherein we live-chatted quick takes on whatever the soon-to-be rooks had to say. 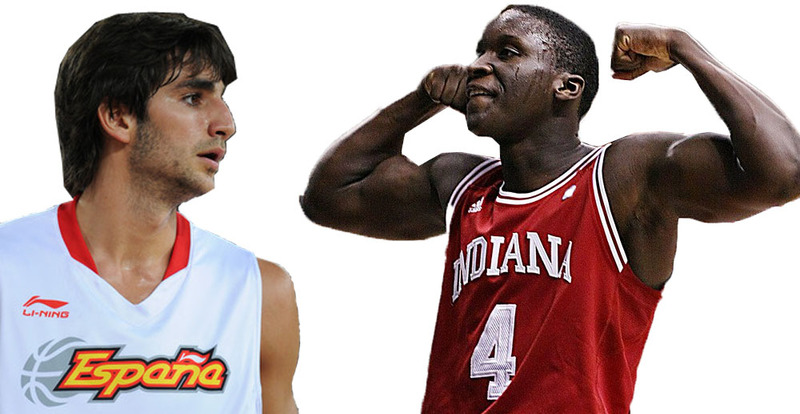 Why is there a picture of Patrick Bateman and Victor Oladipo, you ask? You’ll have to click below the fold, read the post, and find out for yourself! The next Kawhi Leonard is probably not walkin’ through that door. So plan accordingly. Many Timberwolves fans will expect the team to draft a wing player in the upcoming lottery. It’s the position of need, after all. Flip and Rick should ignore the radio callers and message boards and draft without regard for position.